In a country steeped in an ancient cultural history and personal honor, one Chinese family’s saga is told over a thirty year period in short snippets that highlight each member through the joys and sorrows of time marching on. As China faces social and economic changes, this family will represent a slice of those changes as each member grows and the children leave to make their own way in the world. 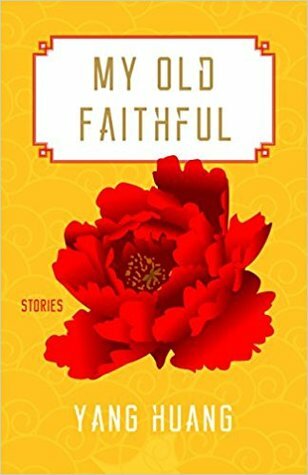 MY OLD FAITHFUL by Yang Huang is a rich tapestry that unfolds to depict the trials of one close-knit family caught up in unprecedented social change from the traditional family unit to a more modernized version introduced by the three children. This family is not merely representative of a single country, it is representative of the world’s family units as they each face the day to day interactions and upheavals in a world that can be unsettling. Yang Huang’s words are almost lyrical as they talk of a father’s disappointments in his only son, a mother’s hopes for her daughters and her buffering between father and son. Each child will describe their position in their family as they see them, parroting the words of their parents. For me, that is proof that no matter the culture, the family unit is the bedrock and the springboard for each generation to reach for “more,” unafraid to raise their collective voices to be heard. Certainly not a rapid-fire read, this is one to savor for its rich flavor and heartfelt message that is timeless and enlightening. This is a story about families, love, coming of age and letting go of the the unnecessary pieces of the past while weaving the good that remains into the future. I received a complimentary copy from Yang Huang!